With voters in the United Kingdom heading to the polls June 23 to decide whether or not to leave the European Union, polls are showing a close vote in the offing between those who want Britain to leave the EU and those who want to remain. “Brexit” would have many implications for the U.K., politically and economically. But another less-discussed impact a vote to leave the EU would have is an environmental one, as experts say Britain exiting the EU may have stark ramifications on the fight against climate change. “Britain has been the most significant country pushing a higher ambition inside the EU and if you took Britain out of the EU there’s nobody who would really replace the role Britain has played in driving up ambition and the European climate targets,” Tom Burke, chairman of the environmental organization E3G, told ThinkProgress. The U.K. was the first in the world to set long-term, legally binding guidelines for dealing with climate change when in 2008 the government set a goal of slicing emissions 80 percent by 2050. Burke explained that given Britain’s active record on the issue of climate change, a vote by the U.K. to leave the EU would create a hole in the political forces driving the EU to continue to adopt forward-looking legislation battling climate change. “Take Britain away from climate change, and you’ve lost quite a lot of the high octane fuel for the whole process,” he said. He added that as a voice outside the EU, Britain wouldn’t have nearly as much clout as it currently possesses. David Baldock, director of the Institute for European Environmental Policy, a research organization that analyzes and develops policies aimed at creating a more sustainable Europe, agreed that Britain leaving the EU could have serious impacts on the European approach to climate change. He told ThinkProgress that Brexit could provide more political latitude for members within the EU that are hesitant about the strictness of the EU’s 2030 climate and energy goals. “It may provide countries like Poland, who are more skeptical of the 2030 targets, an opportunity to question them,” Baldock explained. Baldock also said the EU is trying to agree how to meet its 2030 climate goals and Britain leaving the EU during that would be a huge distraction. “If Brexit comes about it’s going to disrupt those proposals,” he said. The U.K.’s 2008 climate initiative contained efforts to transition Britain to a low carbon economy. However, aside from taking key political muscle away from the EU’s push for climate reform, Brexit would also harm Britain’s own efforts to transition to a low carbon economy, Burke said. He explained this would come as a result of the economic hit the U.K. would take if it leaves the EU. The economic impacts of Brexit on the U.K. are well documented, with most independent observers predicting an economic downturn if Britain leaves. Burke said Brexit will cause a large degree of economic uncertainty, leading to a freezing of many investments of all different kinds and a diminished amount of funds available.“You’ll have a government that has no money to invest in a shift to a low carbon infrastructure,” Burke said. An economic crisis would instead make Britain less apt to move away from investing in oil and gas, Burke said, which are larger revenue generators. As ThinkProgress previously reported, the British government has strongly supported fracking amidst increased anti-fracking activism, and the current conservative government has opposed subsidies for renewable energy and permits for wind power. Burke said an unwillingness to move away from oil and gas could lead to Britain being left behind in the transition toward low carbon energy. It’s worth noting that many of the leading campaigners in favor of the U.K. leaving the EU are climate change skeptics. Additionally, Brexit could potentially have an impact on the EU Emissions Trading System. Britain could opt to stay a member of the EU ETS if it leaves the EU, but would lose its seat in negotiations regarding the system. At the very least, Britain departing from the EU would complicate matters for the EU ETS. Baldock noted there has been very little conversation about the environmental consequences of Britain leaving the EU. The debate over the impacts of Brexit has instead primarily focused on the economic ramifications of the vote as well as questions about Britain’s role in the refugee crisis. 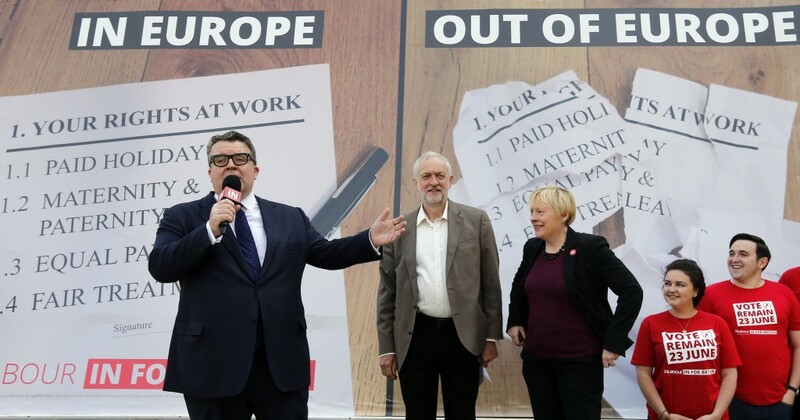 Burke added that print media has done a bad job explaining to the public the stakes involved in Brexit. “You are looking at a public that’s pretty poorly informed about the actual consequences and has been, in a sense, left to see this as some sort of internal battle within the Conservative Party, which to most sensible people doesn’t sound like a compelling reason to join in,” he said.